4.The ornate buildings and wide boulevards of_______, the capital and largest urban center of an European country, were drawn from the architecture and design of 19th-century Paris. The city also has many parks, squares, and fountains. 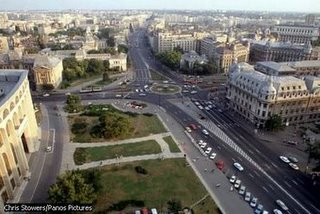 Modern-and more stark-buildings were also constructed in ______during the period of Communist rule.